Pine is conifer tree in the genus Pinus, in the family Pinaceae. Pine trees are evergreen, coniferous resinous trees, growing in most areas of the Northern Hemisphere, with 3-80 meters tall, the majority of species reaching 15-45 meters. They are long-lived, typically reaching ages of 100-1,000 years, some even more. Pines are among the most commercially important tree species valued for their timber throughout the world. Pine wood is widely used in high-value carpentry items such as furniture, window frames, panelling, floors and roofing. The residues like pine sawdust and shavings, produced from pine wood, have been an ever-growing concern to the wood industries. Enormous quantities of pine sawdust and shavings are produced annually from sawmills. They are generally burned directly as fuel, however, the combustion efficiency is very low, and it will release large amounts of carbon monoxide, carbon dioxide and sulfur dioxide to cause environmental pollution. 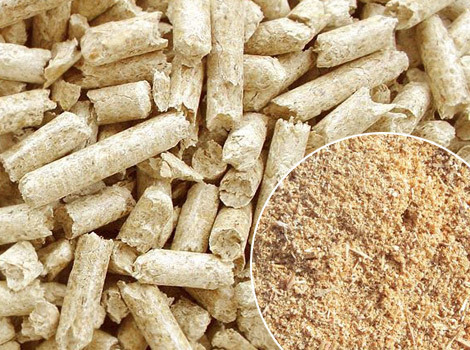 If make the residues into wood pellets, the combustion efficiency will be increased to more than 80%. The emission of toxic gases will be largely decreased. Current total biomass use for energy is in the range of 12% of world primary energy consumption, mainly in traditional applications for cooking and heating in developing countries. Also in some industrial countries, the interest in using wood for heating purposes is increasing. The table below lists some parameters of pine wood as fuel. Pine belongs to the softwood. Since softwood contains more lignin than hard woods, the calorific values of the softwood sawdust are higher than that of the hardwoods. And also lignin is a natural binding materials for pellet production, so the softwood sawdust is better than the hardwood sawdust in terms of sawdust pellet production. A softwood pellet will produce 10-20% more BTU per pound than hardwood depending on the species and create a lighter ash. Take the white oak and yellow pine for example, the BTU per pound are 8,810 and 9,610 respectively. In order to get the final products with premium quality, we should pay attention to the manufacturing processes. Each step must be carried out with care, which involve pine wood grinding, drying, pelletizing, cooling, sieving and packaging. There are several equipment that can be used for this step depending on the type of raw materials you have. Pine wood logs: If the raw materials are pine wood logs, pre-treating is necessary. First remove the bark from the wood log by the wood debarker. Then deliver the peeled wood to wood chipper, and get wood chips. Finally run through a wood hammer mill to reduce the particles to the required size. And the bark can be fed into the wood hammer mill directly. Pine wood chips or sawdust: They are mainly from the sawmills. And they can be fed directly into the wood hammer mill without first being chipped. Maintaining an appropriate moisture level in your raw materials is vital for overall quality of the final pellets. For the pine wood, the required moisture content for pelletizing is about 15%. Choosing the right moisture content enables you to save on energy costs. It is advisable to use a rotary drum dryer for moisture reduction. This is one of the most important stages of making pine wood pellets, and the pellets are actually created in this step. In the pelletizing process, the sawdust is pressed into the holes of pellet mill die under extremely high pressure. The pressure creates heat that releases natural glue in the wood called lignin, which is naturally present in the wood acts as a glue to hold the pellet together. A blade is typically used to slice the pellet to a predefined length as it exits the die. Notes: ring die pellet machine is for large scale production, and flat die pellet machine is for small scale production. Pellets are quite hot and fairly soft when they leave the die, and the shape is not well formed. Therefore, they must be cooled and dried before use or being packed in order to comply with the quality requirements. The final moisture content of pine wood pellets is no higher than 8%. A counter-flow cooler is used for this purpose. The sieving process is generally before the pellet packaging. After pelletizing, there are some superfine powders and coarse particles mixed with the final pellets. Thus a vibrating sieve is necessary here to filter out the unshaped materials from the finished products for reprocessing. Once the pellets are formed and cooled, they are packaged in bags or stored in bulk. Please note that the pellets must be kept dry to prevent deterioration. Our semi-auto packing machine can packed the pellets according to your requirement. 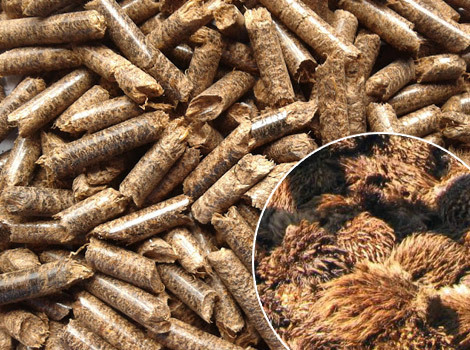 * Pine pellet has high combustion value (about 9600 btu/lb), low moisture content ( less than 10%), longer burning time, and high combustion efficiency. * The ash content is just 0.5% after burning, and the ash can also be used as fertilizer in your garden or on your farm. * Little amount of smoke release during combustion, it is environmental protection. * Using pine pellets for heating or cooking is much cheaper than oil. * Pine wood pellets are suitable for a proper transportation, handling and further use. * Heating: The pine wood pellets can replace wood, coal, crude oil, natural gas, for heating in hot water boilers, industrial boilers, furnace, etc. especially suitable for the high requirements of environmental protection and energy saving users. * Electricity generating: The pellets can be used in power plants to generate electricity. They are good fuel source to replace coal because of their high heat value and environmental protection. * Cat littering: Pine wood pellets have strong absorbency, the ability of odor-controlling, and giving off a fresh pine scent. Making a safe and clean environment for cats and the owners. And the litter is easy to clean. 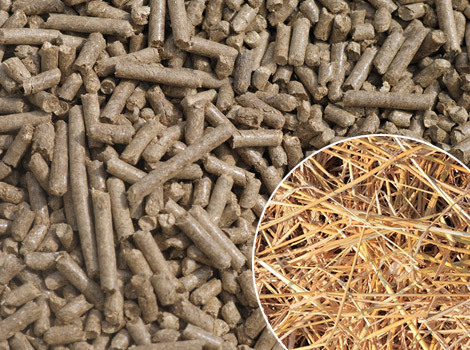 * Horse bedding: As a comfortable sterile bedding layer, pine pellets can neutralize odor and absorbing moisture on contact. The stall will be clean, dry and odor free. There will also be a reduction in the volume of waste materials generated – up to 50%, creating a higher quality compost product. 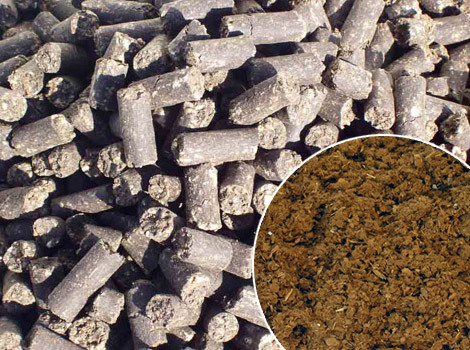 Each pellet can absorb almost four times its weight in liquid. 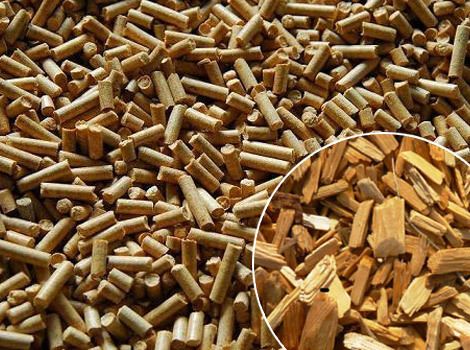 With the development of the pellet industry, competitive demand for wood fiber has been interjected into the market. In 2014, pellet exports from the US South (Atlantic and Gulf regions) to Europe were 3.6 million metric tons, 40% of Europe’s 9 million metric ton industrial pellet consumption. Over the last 15 years, demand for pine fiber in the US South has increased. In 2014, total removals of pine for export pellet production in the Atlantic and Gulf regions totaled approximately 3.7 million tons annually. Existing and under construction export pellet plants in the US South have the potential to produce 7.4 million metric tons of pellets to meet demand from funded biomass projects in Europe. Because of the high productivity of US Southern forests, pellet mills in this region are meeting much of this demand. This has resulted in the construction of over 30 new pellet mills in the Southeastern US (Biomass Magazine 2015).